GNC Total Lean Caffeine is a product designed to enhance short term stamina, along with motor and cognitive performance. It is a mild diuretic meant to temporarily relieve users of tiredness and promote short-term mental alertness. The makers also offer a detailed free meal plan to complement this product. 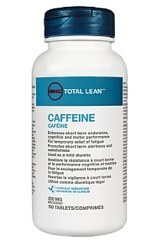 Every serving of total lean caffeine contains 200mg of caffeine. Additional ingredients include: Silicon Dioxide, Microcrystalline Cellulose, Calcium phosphate and Vegetable Magnesium Stearate. This product should be kept in a dark, cool place and does not contain any starch, lactose, wheat, soy, sugar, salt, gluten, yeast, or artificial flavours or colours. Most research has highlighted the positive effect caffeine can have on mental alertness. Consuming beverages containing caffeine over the course of a day can keep the brain alert, and mixing caffeine with glucose to make energy drinks certainly appears to enhance mental ability. The necessity of Silicon Dioxide for maintaining strong, healthy joints and bones is also well known. Adults should swallow one tablet every three to four hours. This product is only designed for occasional usage and customers are told not to exceed four tablets within a twenty-four hour period. 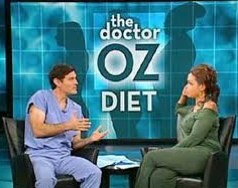 Raspberry Ketone – The DR Oz inspired natural fat burner is now available to Canada. Whenever users of this product take a dose of more than 600mg of caffeine daily (i.e. three tablets or more), they might experience a quickened heart rate, anxiety, insomnia, palpitations, nervousness, restlessness, headaches and the jitters. Allergy / hyper-sensitivity is also known to happen and, in such an instance, customers are advised to stop using the product. Customers are recommended to check with their GP before taking this supplement if they suffer from glaucoma, from over-active bladder syndrome or from high blood pressure. For a dosage of more than 300mg daily, Customers are also instructed to speak to their GP if they are of child-bearing age, or if they are breast-feeding or pregnant. This supplement is not supposed to replace sleep and users are told to avoid consuming it with ephedra, natural health products, or any other drugs that raise blood pressure (particularly anything containing caffeine). They are also told to speak to their GP before consuming it if they are taking lithium. Presently, there is very little information about this product online, with no customer reviews, so it is not possible to know for certain how good it is. It is clearly not a product meant for long term use, so it would have to be incorporated as part of wider healthy life-style regime in any case. GNC are a reputable company though, and the product does contain some proven ingredients. So, it is probably best to remain cautiously optimistic pending further information. 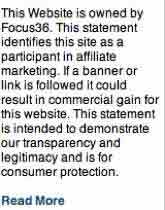 There are many positive customer reviews online about similar products that GNC have released. Thus, at the very least, we might expect this product to provide a welcome boost to your dietary efforts, as long as the dosage is not exceeded. Not a product to invest time, money or your weight loss ambitions into. 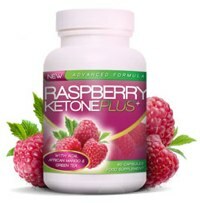 There are several commercial diet supplement that offer a better chance of weight loss success – one example is Raspberry Ketone. A natural fat burner that offers more than just fat burning potential.